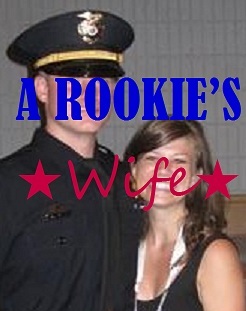 A Rookie's Wife: Smoke, Smoothies and Sickness. It started Thursday night when Officer was up all night with the pup, who was sick. Then Friday was just busy. A charity was coming through our neighborhood to do a pick up of items and so we put out a bunch of items we weren't using in the house. A couch, kitchen table and chairs, coffee table, chair, bookshelf and boxes of clothes. Yep, we looked like those neighbors- you know, with their whole house in their front lawn. The pup was sick again on Friday, but we figured she just had a bug. Saturday morning was a cold one. We decided to make a fire, but we needed to clear out all the ash from the fire we made a few weeks ago. Officer wanted to scoop it out, but I thought using the shop vac would make more sense. He went to get more firewood, I went and got the shop vac. When he came back in he said through his coughing - "um, I don't think that was a great idea." Yes, the shop vac was sucking up all the ash and soot, but it was spitting it back out the other side. Joy. So we start up the fire, what's that? Oh yes, we forgot to open the dormer. More joy. More smoke/ash fills our house- luckily, no fire alarms went off. Consequently, we had to leave our back door open all morning, did I mention it was cold enough for us to start a fire in the house? (: We both sat down exhausted after those two occurrences and... splat, the breakfast smoothie I had made was knocked to the floor. We did what anyone would do after that - got back in bed and went to sleep. We had to start this day over. The rest of the day (like there was much left) went pretty normal. However, we had a wedding that evening to attend for Officer's step-brother. While we were there we realized Officer had a step-sister. Apparently, we are NOT good step siblings. When we got home, pup had gotten sick all over her crate. When I say, "all over her crate", I mean it in the literal sense. Probably 8-10 vomit piles, she even attempted to eat some of them to find a place to sit down. It was heartbreaking and smelly. And trying to find a way to clean it up was also a challenge. But, after we accomplished cleaning it, we washed her up and spent the evening/early morning at the emergency animal clinic. For the first time in my life, I looked forward to Monday. But now that it's here, I'd rather have my weekend. For those of you interested in the status of pup: she had an intestinal parasite and is doing much better now that she's on 3 medications!